This month on Brave Little State, we meet Vermonters from all across the state, and all walks of life, who are working three jobs to try to make ends meet. In other words, it can take three or more jobs to make a living in Vermont. At one point that was the case for Susan Boston, of Woodstock. Several years ago she worked as a church secretary, as a bookkeeper for the Woodstock Historical Society and as H.R. director/office manager for a startup. This is true. In 2015, Vermont's "multiple-jobholding rate" (calculated by the federal Bureau of Labor Statistics as the percentage of individuals holding more than one job) was 7.2 — higher than the national average of 4.9. What Susan wanted to know was: Why? 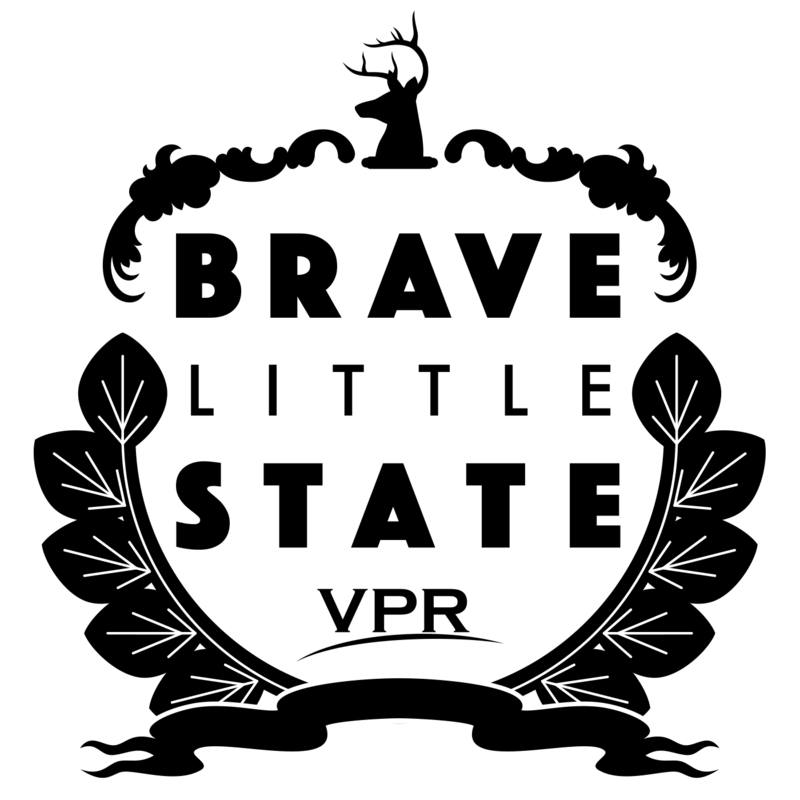 So she put her question to Brave Little State, VPR’s people-powered journalism podcast. Every month we take on a question about Vermont that’s been submitted and voted on by members of our audience, and Susan’s question is our latest winner. “I think more broadly a lot of people are combining jobs because they want to stay in Vermont,” Susan hypothesizes. “I think of people who either stayed here after college or came up to ski and end up staying, I think that that was the necessity to mix and match jobs...I mean I think all three parts of the question are pretty interesting … the combinations of jobs and how people make it work and and the why." For the why part of Susan’s question — why do so many Vermonters have three jobs? — it seems like the easiest answer has to do with cost of living. Out of the 50 states, our state ranks 45th for affordability — this is according to U.S. News & World Report. And we have the 16th highest state and local tax rates in 2017, per the Tax Foundation. In other words: It’s expensive to live here. But then, when you talk to individual people, you realize there’s no one-size-fits-all answer. Take Rachel Grigorian, of Granville. Rachel is on maternity leave right now, but her normal working life goes something like this: From February through November, she works for a landscape design company, doing design work and on-site project management. From roughly November through March, she waitresses at the Flatbread in Waitsfield. And then, typically three times a year, she does modeling shoots for Duluth Trading Company. Duluth Trading Company sells clothes for rugged outdoors people and tradespeople, and features women such as Rachel who work in the outdoors. She started her career at a firm in Connecticut, where she’s from. But despite all this, Rachel says they live comfortably and within their means. She’s able to put all her modeling wages aside for family trips or home repairs. And she says at this point she doesn’t actually need to work three jobs. She wants to. “It’s enjoyable to me to mix things up throughout the year,” she says. She likes being social, and being outside. And just having something to do. A portrait of satisfied industriousness. If only it were so for all the Vermonters hustling with multiple jobs. Listen to waterfall of Vermont voices describing their experiences working three jobs. We wanted to dig deeper into some of these stories — especially to explore the other part of Susan’s question, about how people working three jobs make it work. So we spent time with three Vermonters, from different parts of the state and different walks of life. Beth is from the town of Orange, and right now she’s got four jobs, some of them under the table, which is why we’re only going to use her first name. She’s 38, and says she’s had multiple jobs ever since graduating from high school. It was “crazy money,” partly because Beth was working around the clock. She had day jobs and overnight jobs and all of them hourly pay, and none with benefits. Even through her first pregnancy, Beth worked full time at multiple jobs, as a private duty nurse and a pharmacy tech. And after her daughter was born, she went back to work. And then came twins. And the twins got sick. “They were very healthy when they were born, but then both twins got really sick with RSV [respiratory syncytial virus] and pneumonia and they were on life support for 10 days,” Beth says. “It gives me goosebumps. So I wasn’t able to work. I wasn’t able to return, because I had been out for so long … I mean, we’re talking almost a month and a half. The twins got better, and Beth is now a single mom, working off-and-on for an insurance company in central Vermont. It’s better money — a little more than minimum wage — but it’s never quite enough hours to make ends meet, and never enough to save. Beth is also working on a 700-hour certification in phlebotomy, so she can advance in her career in that field. At all of these jobs, Beth estimates that she takes home $1,100 a week. And she says her life costs “a lot more” than that. “Three kids — three growing kids who eat a lot,” she says. “And it’s expensive to eat healthy. It’s a lot cheaper to buy a 2-liter bottle of soda than it is to buy a gallon of milk. And it’s cheaper to buy McDonald’s than it is to buy all the stuff you need for a salad. We get a little in food stamps but it’s not enough. But you make it work. You have to. Beth says she learned about this by asking the farmer. “I saw him out in the field one day, driving his tractor, digging potatoes, so I parked my car and ran across this field to the farmer and said, ‘What do I have to do to get some of these potatoes to feed my family for tonight?’ And he asked me to dig potatoes for an hour, and he would give me one of the bags that I filled. So I got 50 pounds of potatoes for one hour of work. It was a pretty good deal. That’s the world she grew up in, Beth says. Josh Farr works at the Vermont Center for Photography and the Brattleboro Museum and Art Center, and does web and graphic design for a local artist. Josh Farr is a young guy — 29 years old, originally from Maine. He studied photography at the New Hampshire Institute of Art. After he graduated, in 2011, he was scouring Craigslist for jobs. To his surprise, Josh got the job. He was going to be the executive director at the Vermont Center for Photography. 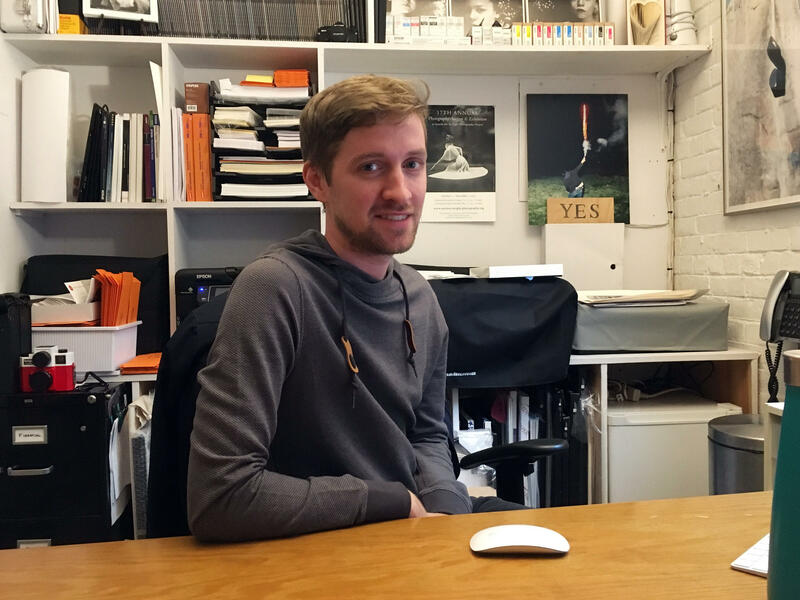 “I mean, I had never worked in arts management, let alone nonprofit management," Josh says. "I, admittedly, I didn't really know at that time the extent of what the job meant." Turns out, the job meant a lot of different things. “It’s really just me, myself and I doing everything from hanging the exhibits, to painting the walls, to organizing fundraising and annual appeals and managing the dark room and doing digital printing services and organizing workshops and guest speakers,” Josh says. The thing about this job is that it’s only part-time. But it didn’t take long for Josh to realize that he would need more than just a part-time job that was only 20 hours a week. So, he found some side gigs: making bagels, working at the co-op, cleaning a bank — "which was surprisingly sort of meditative and like my own little world I could just go in." Eventually, Josh found a part-time job doing web and graphic design for another artist in town. And it was a great job — he even got to do some photography. Plus, the office was close to the New England Center for Circus Arts. So, not counting clowning (it’s really more of a hobby), Josh had two part-time jobs. And for a while, that was fine. “But, you know, it doesn't take long to realize that, 'Hey, my bank account doesn't have quite as much in there as I need, and my gosh, those bills just keep coming,” Josh says. So, he got a third job working at the Brattleboro Museum and Art Center. “They sort of just have me tucked in their quiver as an everything man, whether for photographing events or exhibitions — mostly lately it's been assisting with installation and delivery and pickup of artwork from galleries,” Josh says. Josh admits, he’s not great at budgeting — he just spends money when he needs to until there’s a perfect storm of expenses. Josh says he’s pulling it off — working long-hours, paying bills, spending time with his girlfriend, watching their two dogs. But he says he can get really stressed out. Despite the stress and the burnouts, Josh says he loves his work. All three of his jobs connect him to the arts community in Brattleboro. But that doesn’t mean he wants to stay with these three jobs forever. “I can play this piecing-together puzzle game for X more years, but I don't know if I could do it for the rest of my life,” Josh says. One day, Josh says he hopes to have one job that he loves. Josh says that he’d like to stay in Brattleboro, and he wishes he could be more certain about settling down there. He says if could make his job at the Vermont Center for Photography full-time, he would. “It's always been a dream of mine to make this into a full-time job that would support me indefinitely," he says. "I mean, one of my biggest challenges about thinking about staying in Brattleboro and starting a family in Brattleboro is whether or not there are the financial circumstances to support me indefinitely. "If you were going to ask me what’s the next five to 10 years, [I'd say] high potential of children, of picking that place to raise a family, and of course landing that dream job that you always wanted." Bill Belmonte at Rutland High School, where he is a full time paraeducator. He also coaches sports teams throughout the school year, and cleans for a local retailer on weekends. Bill lives in Rutland, and his working life has had two very distinct chapters. He got his first job just out of college in 1984, at Killington Ski Resort. And for the next 23 years, Bill says he worked his way into upper management and made a great salary. Life was good. Then, the resort changed ownership. In 2007, there were layoffs. Over the course of the next few years Bill found — and then was laid off from — three different jobs. Keep in mind, the Great Recession was now in full swing. And Bill didn’t know it at the time, but he was one of those people who would never quite get back to where he’d been. One of the jobs Bill got during these years was managing a temp agency in Rutland. At one point Bill says he actually had to lay off other workers. Bill himself was eventually laid off from that job. He says one thing he learned during those years is the real meaning of resilience. And at some point, Bill realized he was going to need to reinvent himself. So he put his degree in education to use, and, starting five years ago he became a full-time paraeducator at Rutland High School. He also channeled his love of skiing and running into a second job: He coaches after-school sports. Between these two jobs, Bill is at school from 7 a.m. until about 5:30 p.m., when practice ends. On days when there’s an out-of-town race, it’s even later. It’s “fine,” maybe, because Bill says he loves his jobs, working with kids. But he makes a lot less than when he was at Killington. And that’s what prompted Bill to pick up a third job. This one is on Saturdays: Bill does cleaning and maintenance at a local retail outlet. So this is the second chapter of Bill’s work life: three jobs, for a lot less money, working a lot more hours. Pretty dramatic turn from chapter one. “I used to be fun,” Bill says with a short laugh. “I used to have a lot of activities that I’d do, but, you know, now there’s certain things that I can't justify paying for. [I’m] fortunate that I did a lot of fun things when I was younger. “It's made you have to appreciate what you don’t have anymore, and try to look at it in a way that, “Hey, I didn’t lose those jobs, I found other ones. “Just not having the time is the tough part – to just kick back. And the feeling that I can't take my foot off the pedal. And just always looking towards the next little bit of stability. “And sometimes I feel like I'm a failure. You know, it's like, what did I do, you know? But … you look at all the other people in the same boat or worse, and they didn't do anything wrong. It's just — it happened to a lot of people. “I’m still not over the fact that the people that caused Wall Street to collapse are making more money than they know what to do with right now. They got away with it. And then you see schools closing, police departments cutting back, and it’s just like, 'well wait a minute! ', you know? And while a lot of people never got affected by it — they stayed in the same job — and a lot of people are doing fine right now, a lot of people aren’t." Editing this month by Lynne McCrea, Henry Epp and Angela Evancie. Engineering support from Chris Albertine. Correction 11:09 a.m. 12/11/17 The original version of this story misspelled Rachel Grigorian's last name.